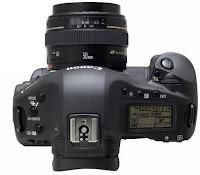 Launched as a successor to the EOS-1D Mark III, the all new EOS-1D Mark IV is the latest advancement of Canon’s flagship Digital Single-Lens Reflex (SLR) series that combines the power of speed, resolution, accuracy and image quality. The most striking feature of Canon EOS-1D Mark IV is the 45-point Auto Focus system including 39 cross-type points, a new AI Servo II AF focus tracking system combined with 10 fps continuous shooting that is extremely useful for sports, nature and fashion photography. 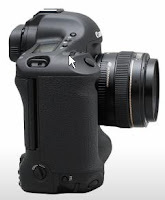 The Canon’s EOS-1D Mark IV Digital SLR Camera is priced at $4999.00(SRP).